Have a chuckle at the expense of these adorable kittens, although they look much too comfortable to even notice. 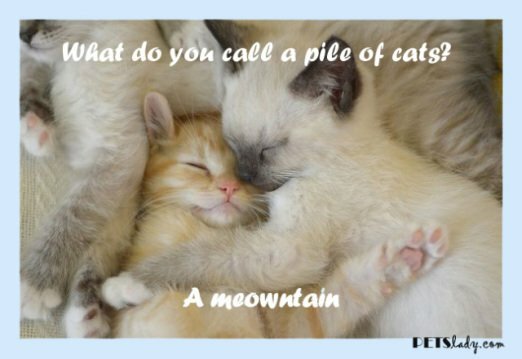 What are some of your favorite pet and/or animal jokes? Share in the comment section and you might see it featured in a future Pet Funnies. Sources: Jokes 4 Us, Attack Of The Cute.